Even after finding work, low-wage workers face many difficulties trying to take care of their families. One major struggle, particularly for garment workers, is child care. Child care costs have been increasing at a rate even greater than that of college tuitions. And in the wake of the 2008 economic recession, federal government block grants for child care subsidies have shrunken dramatically. 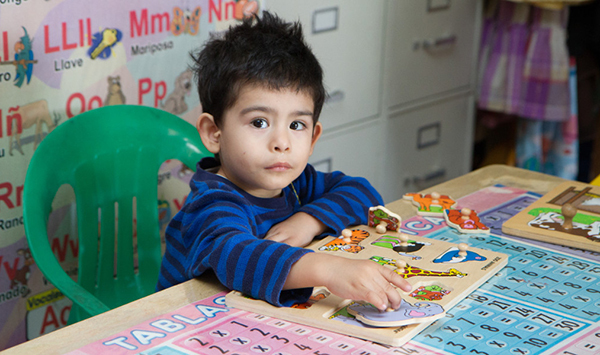 California alone cut 1 billion dollars in early childhood education funds and more than 300,000 parents and children are currently on the waiting list for child care subsidies. As part of a research project led by the Labor Center, the Garment Worker Center, and Research Action Design, researchers surveyed garment workers around the Los Angeles’s Fashion District about their child care needs. Many workers shared difficult stories about their experiences of not being able to afford quality child care. Many expressed the lack of child care centers around their communities and the need for these centers particularly during the evening hours. Others shared how they were unable to pay for formal child care and had to leave their children with a family member or neighbor because then they could compensate them with whatever they could scrape together for the day. Over the three month course of the project, researchers analyzed 85 surveys. This research culminated into the report Hanging by a Thread! Los Angeles Garment Workers’ Struggle to Access Quality Care for their Children.